Help those with special needs! Providing housing and counseling for individuals with special needs. 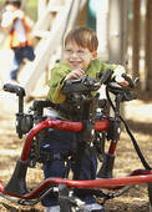 ♦ ADA CERTIFIED apartments for physically challenged individuals. ♦ ADA CERTIFIED group homes for mentally challenged individuals. Help your loved one achieve their dreams. The journey can start at New Horizon Living Centers!